A rising star in the world of Mixed Martial Arts, Austin Vanderford is a professional fighter with an undefeated record. Engaged to female MMA competitor Paige VanZant, he’s part of an inspirational power couple that are currently dominating the hugely popular sport. The pair have a considerable online following among the MMA community, with a strong social media presence and an extensive fanbase that stretches across the globe: Vanderford himself has over 70k followers on Instagram alone. This exceptional fighter was born in Santa Rosa, California, before moving to Alaska and developing a taste for competitive sport while wrestling for his high school team. After moving to Southern Oregon University, Vanderford joined the wrestling team, moving swiftly on to the lower ranks of the welterweight MMA circuit and effortlessly winning all four bouts of his amateur career. His professional debut came in 2017 with a glorious victory over Sol Renato, followed by another successful bout against Ben Fodor at CageSport 47. Generating an electric buzz in the MMA community after these impressive wins, Vanderford signed with Victory Fighting Championship in late 2017, making a triumphant VFC debut against Kenny Licea soon after. 2018 saw Vanderford continue to solidify his reputation as a fearsome and as-yet-undefeated opponent: two further wins against Angelo Trevino and Edmilson Da Silva Jr. served to heighten his notability, showing fans, fighters and commentators that Vanderford is undoubtedly one of the most promising competitors fighting today. 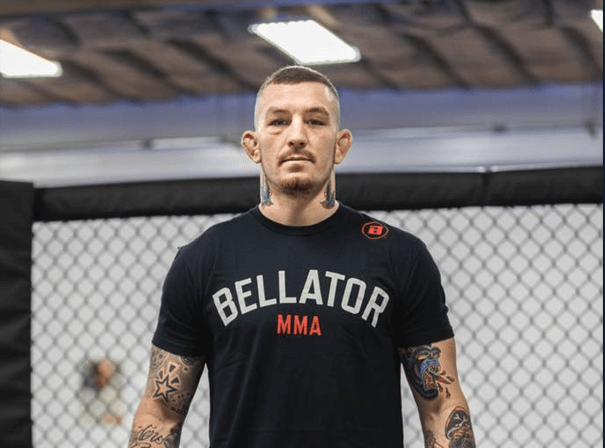 Most recently, he made his debut for high-level promoter Bellator in early 2019, facing off against Cody Jones and securing his seventh consecutive win in an astounding hot streak that seems unlikely to end any time soon. MMA fans, watch this space.